A Non-Governmental Organization (NGO) is a legally established organization, which works independently from any government. NGOs work for the good causes like eradicating poverty, providing education etc. They are Non Profit Organizations, that means they do not get profits out of their organizations. Govt gives grants worth crores to Non-Governmental Organizations. They receive funds from people and from foreign countries too. A lot of NGOs are working on the areas where government is not doing much. For example Goonj NGO is providing clothes and other basic amenities to millions of poor. Many such kind of organizations are giving quality education to street children, providing water facility in the remotest areas along with many other good causes. With the help of these organizations, development programs can happen faster and efficiently. And this will help the government a lot. In many cases, government is working with NGOs to solve local problems. Though India has more than 30 lakh NGOs as of 2017, only approx 3 lakh organizations are submitting the financial accounts. Govt’s funds to NGOs are not accounted and audited. This is resulting in misuse of funds and fake Non-Governmental Organizations. If NGOs really working well, all the social challenges in India would have eliminated by now. Forget eliminating problems, there is no satisfactory development in India according to HDI (Human Development Index) report. Supreme court ordered Central Government to audit Non-Governmental Organizations and to terminate the licenses of organizations that are not submitting their financial accounts. India has vast no. of NGO compared to other countries. The no. of NGOs increased in the time of 1960s as people felt that the government projects are not contributing in developing of deprived sections of India. International NGOs started around the year 1839. After the establishment of ‘United Nations Organization’ in the year 1945, the phrase ‘Non Government Organizations’ became popular. NGOs are a boon to any developing country, but only if they are audited and supervised by Govt. If government takes steps on fake organizations, genuine organizations will get sufficient funds, thereby can help in the development of India. Afterwords :- What are your thoughts on this topic? 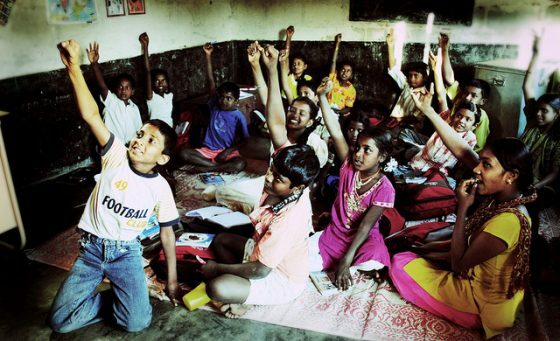 Do you think Non-Governmental Organizations are helping in India’s development? Express your opinion in the comment section below.